The last thing I pack before a trip is my makeup bag. I'm always running behind, so I inevitably throw things in a bag in a panic and forget something I need, and take at least three things I don't. I have a couple of trips planned, but there are always road trips and weekends away that come up last minute, so it's good to have a bag on reserve ready to grab at a moment's notice, or at least have the travel-friendly products hashed out so I know what to take in a rush. The best piece of advice I can give you about travel-sized products is… don't buy them. They're a ripoff, you're paying out the arse for all that packaging and barely any product. If you look, you'll probably find that most of the products you're already using are under 100g, so they're fine to throw in your carry-on if you're not checking a bag. The only products that I can't take with me are face wash, shampoo and conditioner. You never know when you might need sunscreen or a bit of moisturiser. Instead of lugging a bunch of bottles in your bag that add to the weight and space, Mighty Girl has a simple hack. 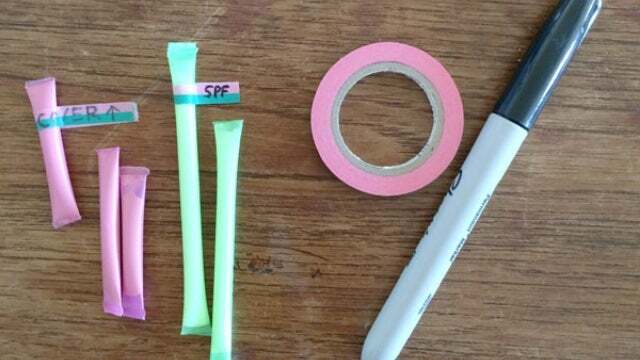 DIY toiletries in a straw. I have enough empty skin care jars to build a small city. Every time I use up a Kiehl's moisturiser or Origins face mask, I make sure to save the jar because they're sturdy enough to wash, reuse, and travel with over and over again. My skin gets wild on me when I travel, especially if I'm flying, so finding a way to take my normal products with me instead of switching them out for travel-sized randoms always keeps dry skin and breakouts at bay, and helps me keep my skin balanced and looking great. If you don't have any jars at your disposal currently, they're easy enough to find online. I've also used small jars for mixing paint, now THERE'S a life hack for you (they were fresh, don't worry). In terms of products I travel with, I try to stay away from liquids in fragile bottles, opting for stick versions of product where I can, and versions of products that come in soft tubes over rigid bottles. For instance, instead of risking a bottle of foundation breaking open in my bag, I'll grab a stick foundation to give me the same coverage without risking damaging my products. I try to skip powder as much as possible as well, opting for cream eye shadows and stick bronzers. The only power I'll always be sure to take is a setting powder, to lock makeup down and keep my skin matte all day. I wear setting powders with or without makeup because I love the blurred, perfected, matte finish they give my skin. Stick primers are pretty easy to come by, you just have to know where to look. 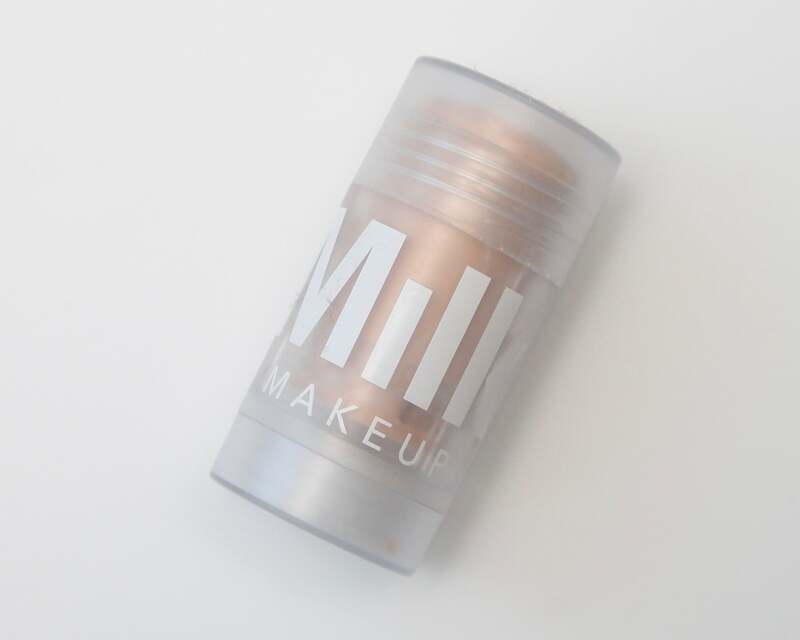 I love the Milk Makeup Matte Blur Stick, as it primes skin by controlling oil and minimising the appearance of pores. 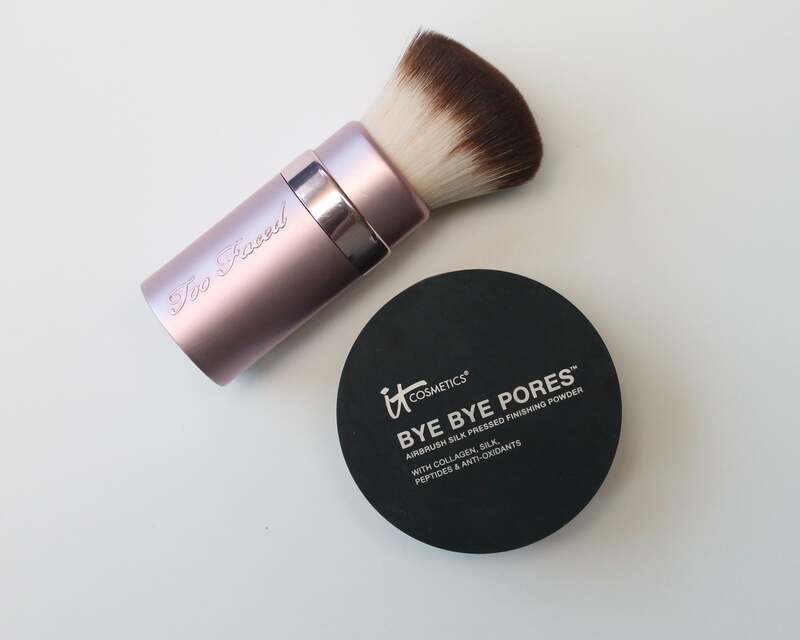 It's a nice large stick that you can apply directly to the face, and isn't going to break in your bag. Some other favourites are the Benefit Stay Flawless 15 Hour Primer and the Estée Edit Pore Vanishing Stick. I actually prefer stick foundations over traditional liquids or powders, and there's no better base for travel than a stick foundation. The Hourglass Seamless Finish Foundation Stick is great because you can use it as a foundation and build it up to use it in place of concealer, so you can skip yet another tube in your bag. 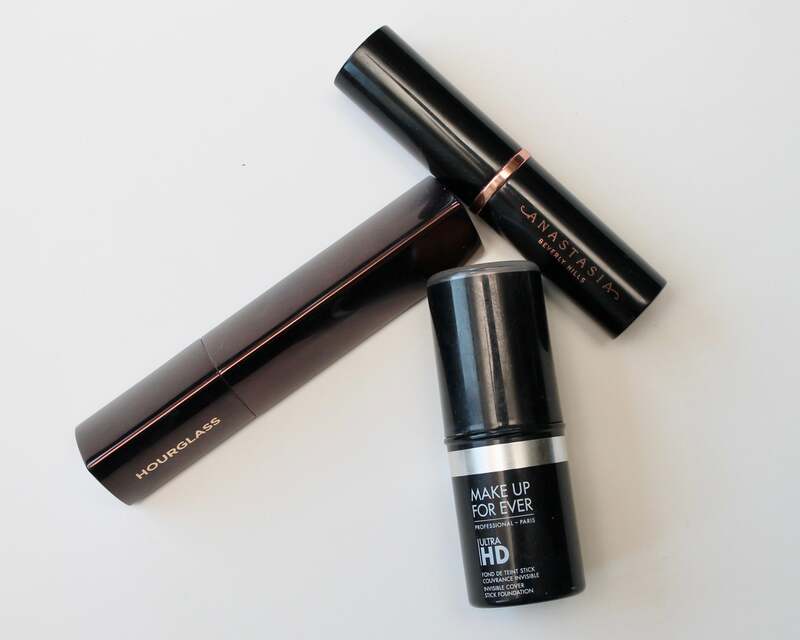 Other great options are the Make Up For Ever HD Foundation Stick and if you prefer a matte finish, the Anastasia Foundation Stick. If you're looking for lighter coverage, try the new Confidence In A Compact by IT Cosmetics! It's a solid foundation in a sturdy compact that is great for travel. It's basically a solid version of their cult CC Cream that applies smoothly, wears beautifully, and travels like a champ. The best cream blush out there right now is Cloud Paint by Glossier, hands down. It comes in a super compact little tube so it doesn't take up much room in your bag and can get beat up without breaking open. 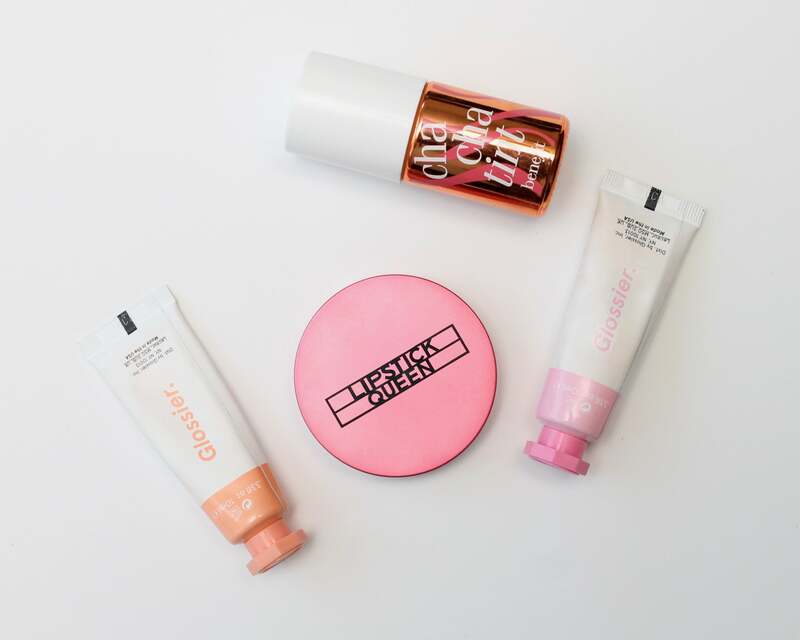 A few others I reach for when travelling are Lipstick Queen's Frog Prince cream blush that looks good on everybody (and I mean that literally, it works with your body's pH to flatter your skin) and any of Benefit's cheek tints. Try creams over pressed powders so ensure that you don't break any pans of pressed powder. 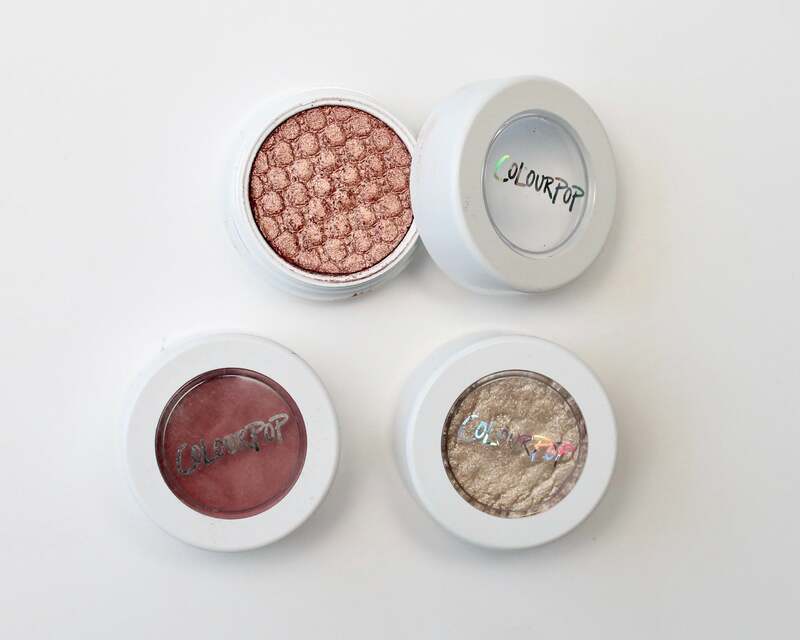 I'm obsessed with ColourPop's Super Shock Shadow, which is a weird putty cream. Or, try a cream shadow pencil to make even better use of your space. Laura Mercier's are my favourite. If you can't part with your pressed powder palette, at least get a few brushes optimised for travel. 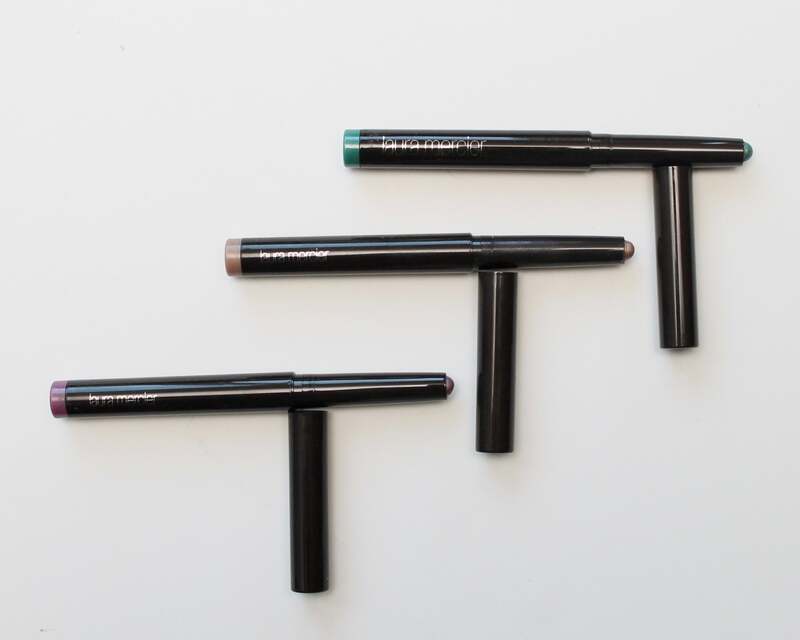 Caiyln's 4-in-1 eye brush gives you four brushes housed in one wand with a cap on each end so you won't beat them up in your bag. I hate travelling with brushes because they always get banged around and never come back looking right. Another brush I always have on me is the Too Faced Retractable Kabuki Brush. 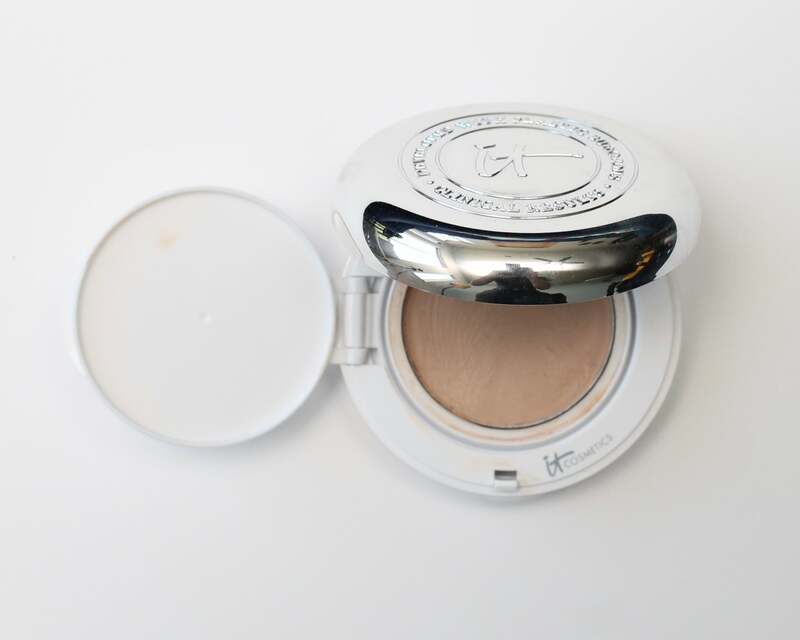 I use it for setting powder, the only powder I take with me just to lock everything down. I'd recommend one of these for everyone's makeup bag. e.l.f. makes a great option, as does Makeup Academy. Speaking of setting products, I take a compact of pressed setting powder to finish my look and keep it all in place, and I also take a setting spray. My usual bottle is too big for a carry-on, so this one of the rare times where I do buy a travel-size product. Urban Decay's Setting Sprays are available in a travel-friendly sizes and are worth the investment if you want your face to stay put. I hate travelling without a fragrance, but obviously, taking a glass bottle of perfume is a no-go. A portable perfume atomiser is a great way to take your favourite scent with you. You can get them online, but the one they sell at Sephora for just ten bones is a pretty great option. Just fill it with your perfume and slip it in your carry-on, your purse, or even your pocket. It's a great tool to have even if you aren't travelling! 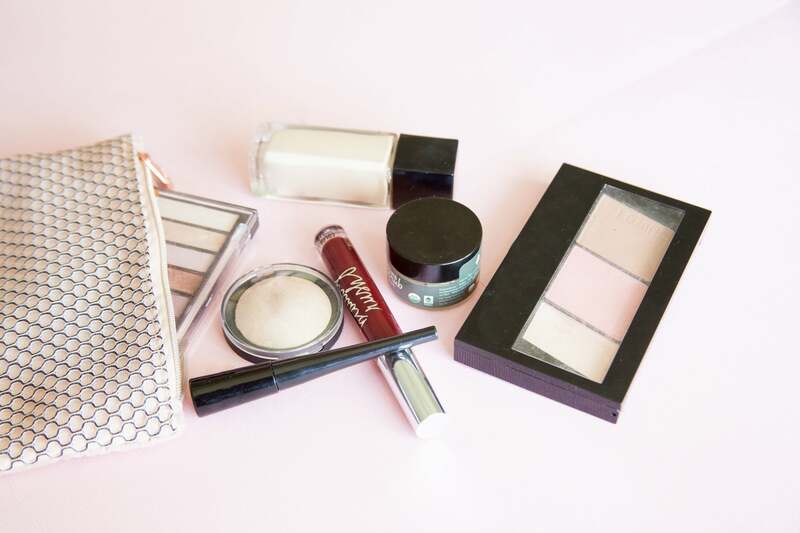 So that's the how and why of packing a foolproof beauty bag with products that travel well and work for you throughout your whole trip. What do you take when you travel?